Virgin Games now has its very own mobile app for iPhone and iPad devices. 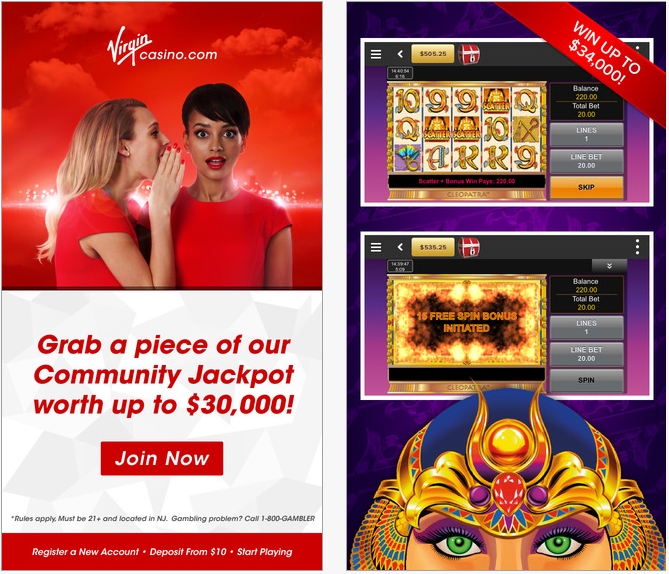 Virgin Casino is designed to give users more options for gambling on the go and accessing all the usual site features and promotions from the comfort of a mobile or tablet device. Virgin Casino is the app for all the best casino and slots action, available to download for free on iTunes. The iPhone app looks a lot like the website with the signature red colour scheme, so if you're already an online user, you'll feel right at home. Getting started on the mobile app is just as easy as using the website too. You can register, deposit money, check your funds and make withdrawals, all from your iPhone. With a sophisticated user interface, the app offers instant wagering and account management at the touch of a finger. Unlike many mobile gaming apps out there, this one offers a full range of games for real money play. You can also practice several games for free and for as long as you want in Demo Mode before going on to wager for real money. Games on the app include casino classics such as Baccarat, Caribbean Stud Poker and 3D Roulette, as well as a huge range of slots like Bejeweled 2, Reel Wild West and Treasures of Troy. All the promotions you can find on the website are also available from your iPhone or iPad. When you sign up as a new user, you're eligible for a Virgin Games Welcome Bonus (T&Cs apply). Take a look at our simple instructions to claim this reward by using the Virgin Games promotional code. Users can also collect loyalty V*Points across all of the operator's platforms. Earn one V*Point for every £5 you spend on bingo or every £20 on slots and casino games and start redeeming them for cash or Flying Club Miles as soon as you reach 20. Virgin Games was the first online gaming operator to launch a web app exclusively for iPad and tablet devices. As a web app, users can access the iPad Casino platform from any browser on any tablet device and there's no need to download it from iTunes, unlike the Virgin Casino iPad-compatible app. Upon launch, there were 16 available casino games on the iPad web app, which has grown to now offering a huge range of the site's best casino, slots and bingo games, including Dungeons & Dragons, Deal or No Deal and Gonzo's Quest. There are also some free play games to get you started before playing for money. Send them an email at support@virgingames.com. Once you've downloaded the mobile app, take a look at our article on the pros and cons of mobile betting and let us know what you think.